Writing Members receive a 10% discount. This Class has ended. Find a list of active classes here. 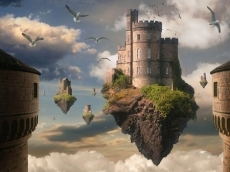 What makes one fictional world come alive, while another feels flat or generic? How can you ensure the worldbuilding in your story will be rich and unique enough to engage readers? Every work of fiction, whether it is an epic fantasy or a contemporary thriller, needs a rich and believable world for its characters to inhabit. Without that foundation, the characters and conflict have no grounding. In this class, you will learn how to implement a layered approach to your world-building, taking into account (1) the macro layer (big-picture elements), (2) the micro layer (everyday details that add tangibility), and (3) the “unseen” layer (the underlying backstory and subtext of the world). Finally, the course will address how to connect worldbuilding to character and conflict to ensure a cohesive whole. This class is for writers who have a completed manuscript and want to polish and refine their worldbuilding. It is also for those in an earlier stage who want to start with a strong framework (note, that in all cases the opening pages should be proofread and reasonably polished). The class is applicable to all genres of fiction; while worldbuilding discussions often focus on science fiction/fantasy novels, it is essential for every story and the class materials will include examples from a variety of genres. Each week the instructor will provide lesson materials and exercises for participants to complete at their own pace. In the final week of class, participants will critique their classmates’ work and receive a detailed evaluation of the worldbuilding in their story from the instructor. $125 which comes with 2-months of Premium Membership. $112.50 for existing Premium Members.